In the past few years, I have attended dozens of women’s leadership events and witnessed thousands of leaders (women and a few brave men) talking collectively about how to advance women. These conversations about the women’s leadership imperative are taking place at big-name companies such as The Coca-Cola Company and Walmart at the Network of Executive Women Leadership Summit, GM at Power: Opening Doors for Women-Detroit and Novartis, ESPN, Transamerica Financial and many others at private corporate sessions. I have even keynoted at Women in Titanium — yes, this group exists, and they are amazing! I have talked to numerous CEOs, senior leaders and middle managers. The burning question is specifically, “How do we begin to drive active male advocacy in the recruitment, development and advancement of women?” The leadership of best-in-class companies realizes that active male engagement is one of the most critical elements in driving long-term systemic change in organizations. This is no longer a conceptual conversation. These companies and their leaders understand the compelling business case. Today, at progressive companies, the conversation is shifting from talk to action. Listen, Learn, Lead and Have the Will to Change. The first three actions come from the Male Champions of Change, 15 male CEOs in Australia who have outlined exactly what men need to do to drive advancement for women in their organizations. The fourth action is my own epiphany and comes from a series of dialogues with senior leaders from a host of companies. The will to change is the single most daunting task for organizations, and the one most organizations are not prepared to do. These four actions are best executed in a sequential manner to drive truly meaningful change. Men and women are having significantly different experiences in the workplace. Both genders are working hard, but women are working significantly harder as they constantly deal with being “one of a few” in the room. What men don’t know is the women (and minorities) are always counting. This happens when you are the only one or two in the room. This is something rarely experienced by men. Typically, in leadership meetings, we are always the majority, and as such, we make the rules. Counting is not intentional by women and minorities, it’s simply a by-product of always being the fewest in number and knowing you think, act and look differently from the majority. This is one of the reasons I invite men to attend and participate in women’s leadership conferences. For many men, attending a women’s conference is the first time they have not been in the majority, and it’s eye-opening. Nothing convinces male senior leader more quickly than an immersion activity. When I ask if they are a little uncomfortable, and they answer yes, I always add, “That’s how women and minorities feel every day.” They get it immediately. And then they want to know more. Do you believe men and women are having different experiences at the company? What else don’t I know? In that last 10 minutes, you will hear root-cause issues that you have never heard or imagined existed in your company. Differences that women and other minorities are experiencing every day. These factors have a direct correlation to work, performance, retention and advancement. The other takeaway you will find is that most women don’t want to talk about this. Women do not want to be the “flag-bearer” for all things women. Yet when asked, they will volunteer to tell you. The intent of these conversations is to determine root-cause issues in your company and to allow leaders to have an “epiphany” of what’s really going on in the workplace. This same activity should be done with millennials, ethnic minorities, LGBT and even old white guys like me. 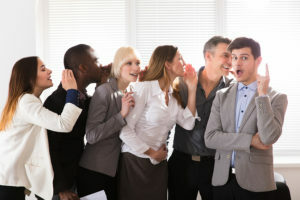 There are systemic issues in your company that are prohibiting growth, retention and development of all employees, impeding engagement and affecting your company’s reputation in the marketplace, and listening is the first step to uncovering them. Why do I ask men to do this? Because men are still in charge. 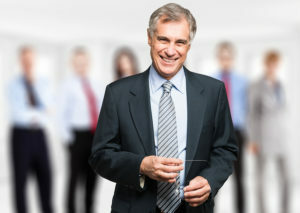 Men hold 85 percent of senior leadership roles in companies. It is incumbent upon men to lead this change. Once you have genuinely listened, the next key is to learn. 85 percent of new entries into the workforce are women and minorities. The representation of our workforce is changing rapidly. Millennials are turning 35, and they represent your budding pipeline. By 2020, they will be the largest employee pool in the country. Women are getting more than 60 percent of advanced degrees in this country. If you are a knowledge-based company, you need to attract and retain women. The best and brightest aren’t even applying to work for your company. The No. 1 major in business schools today is entrepreneurship. 10,000 Boomers are retiring per day, every day, and this trend will continue for the next 15+ years! By 2025, 36 million skilled employees will have left the workforce. These macro-trends are creating a massive war for talent. Organizations are feeling the pain, and smart leaders are addressing it. The Locally Relevant Business Case combines your company’s revenue opportunity and the war for talent into a measurable action plan that can hold people accountable. The second learning point is to Generally Value the Individual. The days of militaristic command and control management are over. Managing people today requires an evolved leadership sophistication to meet and value each and every person individually. And again, this is true not just for women but also incoming millennials and ethnic minorities. This is how you maximize employee engagement and retention. If you are a leader with one management style, there’s a good chance 50 percent of your team is not being managed effectively. 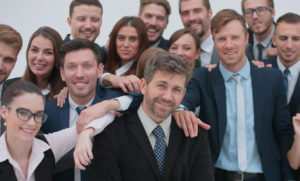 Today, leading and managing people requires an understanding of personality types, gender, sexual orientation, minority status, along with a sensitivity for the pressures of the family including caring for children and aging parents. When was the last time we devoted a day (or even an hour) to developing leaders who think, act and behave differently than we do? My guess is that your answer is “It’s been awhile” or “never.” In the past few weeks, I have engaged with several organizations that are making this investment. And all this “touchy-feely” HR stuff is being driven by senior white male leaders who have figured out that the status quo just doesn’t cut it anymore. The final learning element is Leading from the Front. To win with women and the organization, men must take visible, vocal actions and hold people and their organizations responsible for change. This remark was one of the opening salvos of the 2015 New York Women’s Forum Breakfast of Corporate Champions. This breakfast was a gathering of 650 top leaders across the global Fortune 500, and the topic was getting more women into corporate Board seats. The opening message highlighted the challenge, “Women hold only 19 percent of S&P board seats. At the current rate, we will achieve parity in 75 years.” As Mr. Chenault reinforced, this is simply not acceptable. Leadership starts at the top of organizations. If you study the best practices of advancing women, visible, vocal leadership is always a critical characteristic of winning cultures and companies. One final comment from Chenault really hit the mark as to why companies need more women on boards. While most of us will never be asked for recommendations to fill board seats, it’s great to see major companies taking a stand. For most leaders, the real challenge is to demonstrate leadership in advancing women in our everyday jobs. There are many ways for leaders to demonstrate commitment in this space. This is not an all-encompassing list, but it notes some simple things you can do to incorporate elements into your department’s operating routine. Develop and talk about your department’s business case. Your middle managers need to know why the company is doing this and how it affects them and their department, and they also must be able to “talk the talk” with their teams. Maniacally manage talent. The war for talent is real, and you cannot afford to lose a single woman, minority, millennial, or white male in today’s competitive environment. Ask the tough questions. Hold people accountable. This is what leaders do. If advancing women is a business priority in your company, you need to track success (or failure) and hold people accountable. Develop your cultural competency. Men and women are having very different experiences in the workplace. Commit to learning more about the topic. Make symbolic gestures and systemic changes. Learn what it takes to be a champion, and then have the WILL to do it! Your numbers may be better or worse. The question is, “Is it acceptable to you as a leader of an organization?” Many people say it’s because of unconscious bias that organizations (specifically men) aren’t intentional in their actions. However, is that the whole story? How can leaders look at their numbers and not wonder what’s going on in their company from a cultural standpoint that could be conspiring to hold women back? Chances are, it’s a host of factors. This is when you need to Listen, Learn, Lead … and Have the Will to drive change! So which companies Have the Will to advance women? The leaders of 10 global companies — AccorHotels, Barclays, Koc Holding, McKinsey & Company, PwC, Schneider Electric, Tupperware Brands, Twitter, Unilever and Vodafone — recently came out and said they are not satisfied with how few women they employ. In a report released by the U.N. Women’s HeForShe campaign, these companies openly shared internal data showing how few women they have in leadership roles. The companies collectively employ more than 1 million people in 190 countries. Openly, publicly committing to change. This is what Having the Will to Change looks like. Organizations and leaders are NEVER satisfied with status quo. Leaders need to look at their numbers and take action. Here’s one simple test for your company. If women are truly a business priority of your organization, how many full-time resources and millions of dollars do you have committed to this work? Chances are, your women’s strategy is owned by your women’s resource group, a committed group of volunteers with a budget well south of $50,000. If women were truly a priority, companies would be sourced, staffed and budgeted appropriately. I cannot recall the last successful brand launch or M&A that was conducted by volunteers and a few thousand dollars. 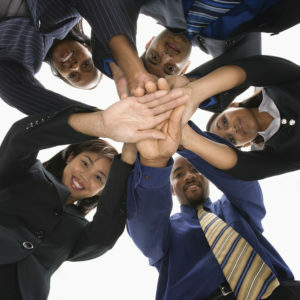 Organizations must be willing to staff and fund their women’s leadership initiative like any other corporate priority. Having the Will to Change takes a personal connection. This is not to say all men who are supporting change for women have this connection, but I have found the most committed ones do. The men who are really choosing to do this work are the fathers of daughters. The conversations I have with CEOs regarding advancing women focuses on 80 percent head and 20 percent heart. The business case is the head piece. That’s why you need a conversational knowledge of why women’s leadership advancement is important. The heart piece, however, is the 20 percent that moves men to advocacy, and that’s the personal connection. Men don’t consciously conspire to hold women back. We just rarely make the connection. Men, especially leaders, lead compartmentalized lives. I did. Yet, I’m a young boomer. I wanted to raise a strong daughter. And whether it was soccer or art or dance, I supported my daughter. I made sure she went to a great school, got a good degree. And when my daughter graduates and makes $.78 cents to my son, I choose to do nothing. Men should be outraged that society and organizations value our daughters at $.78 to our sons, but instead, we choose to do nothing. Because men never make the connection. Men must understand that if they are not advocating for gender equity, if they are not advocating for women, if they are not talking about bias and holding their leadership team accountable, they are not only letting down their own daughters, but all women. Jeffery Tobias Halter is the President of YWomen, a strategic consulting company focused on engaging men in women’s leadership advancement. Founder of the Father of Daughter Initiative, creator of the Gender Conversation QuickStarters Newsletter and the Male Advocacy Profile, Jeffery is the country’s leading male expert on advancing women and engaging men. Speaker, consultant and thought leader, he has authored two books, WHY WOMEN, The Leadership Imperative to Advancing Women and Engaging Men and Selling to Men, Selling to Women. Share on TwitterShare on FacebookShare on Linkedin	Feel free to share! My True Calling. A Podcast Discussion. My True Calling. A Podcast With Judy Hoberman and Jeffery Tobias Halter - YWomen on Why Aren’t We Making Greater Strides to Advance Women in the Workplace? How to Engage Men in Advancing Women - YWomen on Why Aren’t We Making Greater Strides to Advance Women in the Workplace? How to Create an Integrated Women's Leadership Strategy - YWomen on Why Aren’t We Making Greater Strides to Advance Women in the Workplace? The 25 Best Leadership Websites You Need to Check Out This Year - YWomen on Gender Conversation QuickStarters. Advancing Women in the Workplace One Conversation at a Time. 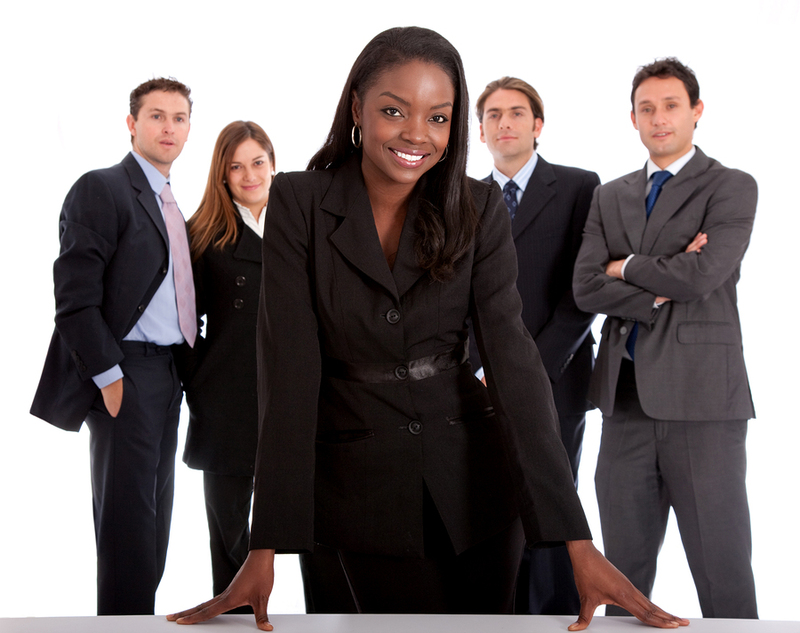 The Leadership Imperative to Advancing Women and Engaging Men - YWomen on Is Your Women’s Leadership Strategy Sitting on a One-Legged Stool? Gender Strategist, Integrated Women's Leadership Strategies, WHY WOMEN - The Leadership Imperative to Advancing Women and Engaging Men, Selling to Men, Selling to Women, and YWomen.biz are elements of Fushian LLC. © Copyright 2019 Jeffery Tobias Halter.